Ramen Buger is the new trend. 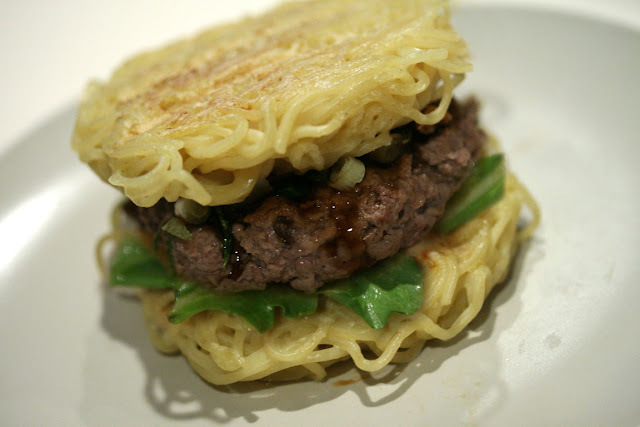 Why wait in line for 2 hours when you can make your own Ramen Burger at home? The Ramen Patty is the most challenging part of the recipe. I put in the freezer to make it hold faster. This is my 2nd attempt. It holds so much better. Put green onions and teriyaki sauce on top of the beef patty. P.S. I skipped the fried egg.